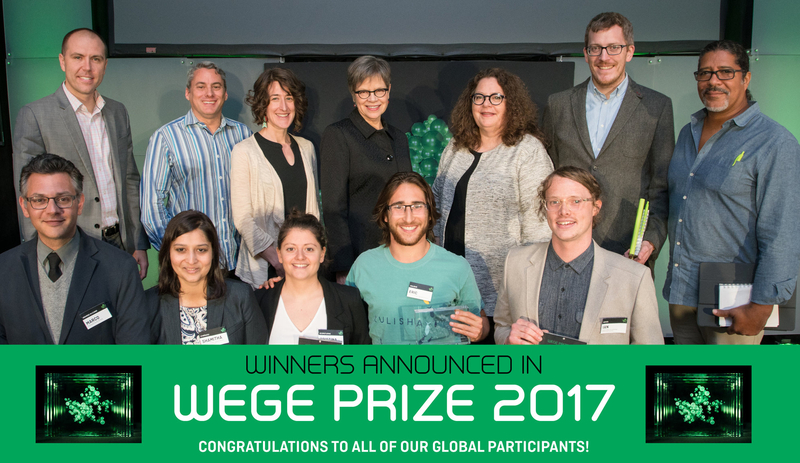 Grand Rapids, Mich. May 19, 2017 – Kendall College of Art and Design of Ferris State University’s (KCAD’s) Wege Center for Sustainable Design has announced the winners of Wege Prize 2017, the fourth iteration of the annual design competition challenging transdisciplinary teams of college/university students from around the world to rethink and redesign the way economies work. Solution: Kulisha developed a solution focused on working with food and beverage processing plants to convert their organic waste products into an insect-based protein that can be used in animal feeds and as an agricultural fertilizer. Their system integrates a type of insect called the black soldier fly into food and beverage plants to decrease disposal costs while creating additional value from waste that would otherwise be discarded.The team has already secured a relationship with an Austin, Texas-based microbrewery, where they’ll soon begin testing a prototype of their system in an on-site facility. Wege Prize, a West Michigan-born concept developed by Kendall College of Art and Design of Ferris State University’ (KCAD’s) Wege Center for Sustainable Design with the support of The Wege Foundation, is a collaborative design competition that gives teams of college students the chance to work across disciplines, use design thinking principles, and contend for $30,000 in total cash prizes, all while helping to show the world what the future of problem solving looks like. The challenge is to design a product, service, or business model that can function within and help create a paradigm shift towards a circular economic model. To learn more, go to wegeprize.org. Planting seeds that develop leaders in economicology, health, education, and arts, and enhance the lives of people in West Michigan and around the world. For more information, please visit wegefoundation.org. Located in the heart of downtown Grand Rapids, Kendall College of Art and Design of Ferris State University (KCAD) is committed to creating lasting impact in West Michigan and beyond through collaborative partnerships, cultural innovation, and an educational model that prepares students for leadership in the visual arts, design, art history, and art education; provides innovative, collaborative education that fosters intellectual growth and individual creativity; and promotes the ethical and civic responsibilities of artists and designers, locally and globally. For more information, please visit kcad.edu.